This brochure is a asthma self-management action plan for adults to be completed by doctors together with their patients with asthma. In the 4 stage plan there is an extra step giving patients the option of increasing the dose of ICS (inhaled corticosteriod). The SMART plan is used only with the single ICS/LABA Maintenance and reliever therapy. This is a brochure containing a chronic obstructive pulmonary disease (COPD) Action Plan for doctors to complete together with their patients. 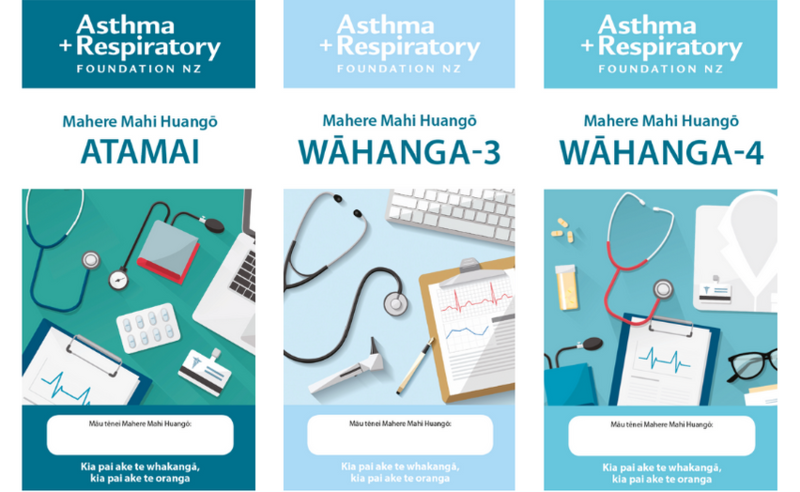 This brochure is a symptom diary for doctors to give to their child patients and their parents/caregivers, and is used in conjunction with the Child Asthma Plan. 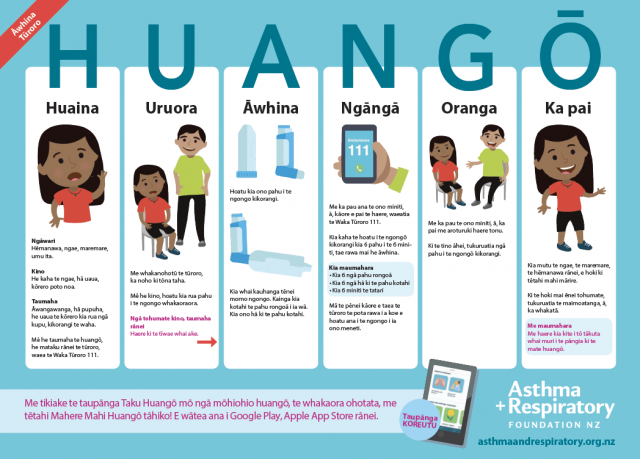 An Asthma First Aid poster translated in Māori.